It seems I've been seeing clafoutis everywhere lately, mostly cherry clafoutis, as that is the traditional version. 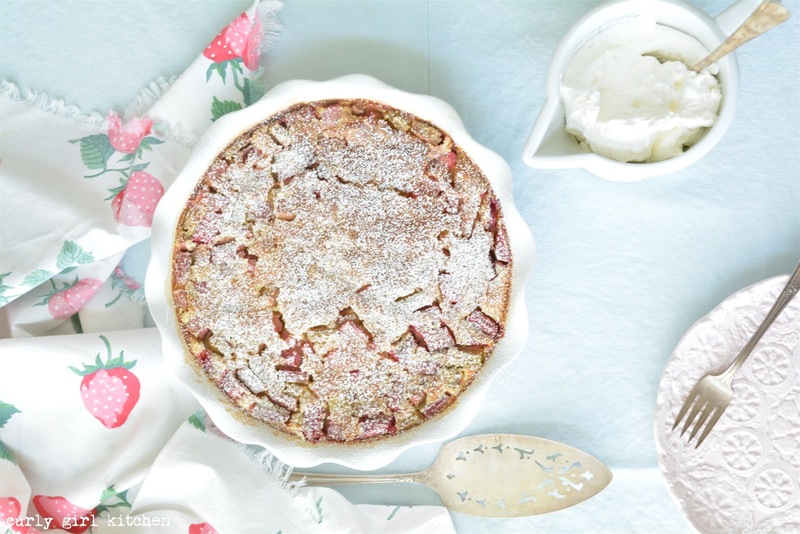 Clafoutis is a baked custard of eggs, milk and sugar, along with a little flour but not so much that it becomes a cake, and maybe a touch of vanilla or almond extract. The mixture is poured over cherries and they rise to the top where they bake, floating on a creamy bed of silky custard. The dessert is typically finished with a dusting of powdered sugar. I've been intrigued by the idea of clafoutis, mostly, I'll admit, because I have a thing for words, and clafoutis is fun to say. But I do love custard, too, and I became convinced that I should add at least one clafoutis recipe to my blog archives. The rhubarb plant next to our lilac bushes has been thriving all spring and summer long. We've cut it down several times, chopping and freezing the stalks that look so much like red celery. And still we have more, which is a good thing, because inevitably this winter, my husband will crave rhubarb pie, and I will be able to magically produce one when no one else in Colorado has rhubarb. 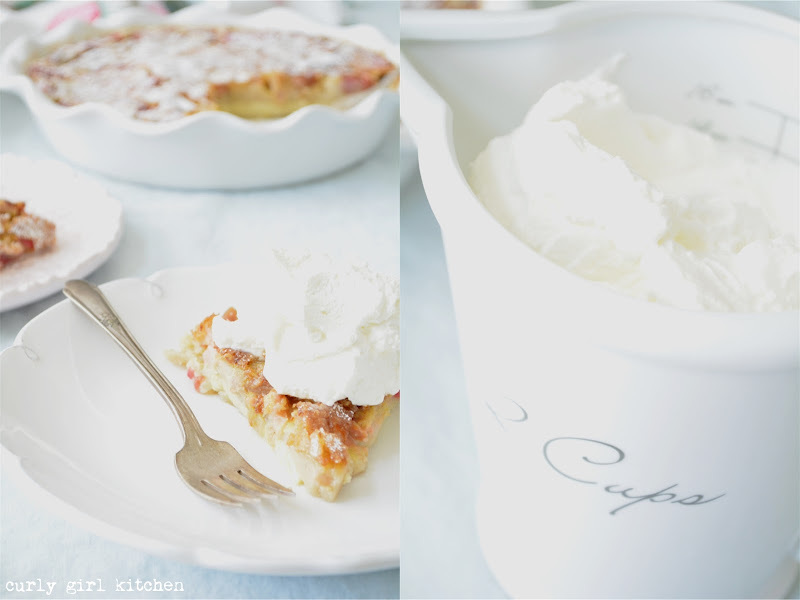 So I made rhubarb clafoutis. I added a little almond meal to my custard, as well as cinnamon, vanilla and a splash of orange liqueur. 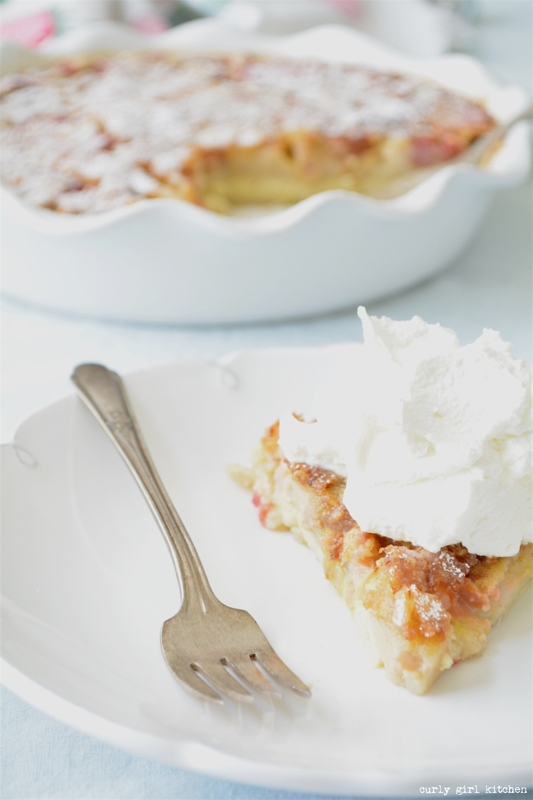 I poured the custard over the tart rhubarb and sprinkled the top with sugar, so that it emerged with a beautiful, crackly golden brown crust on top. We ate it warm from the oven, topped with freshly whipped cream spiked with more orange liqueur, and it was so creamy, tart and comforting. I rather liked it better warm and freshly baked than the cold leftovers, but my husband ate it every day until the last slice was gone. 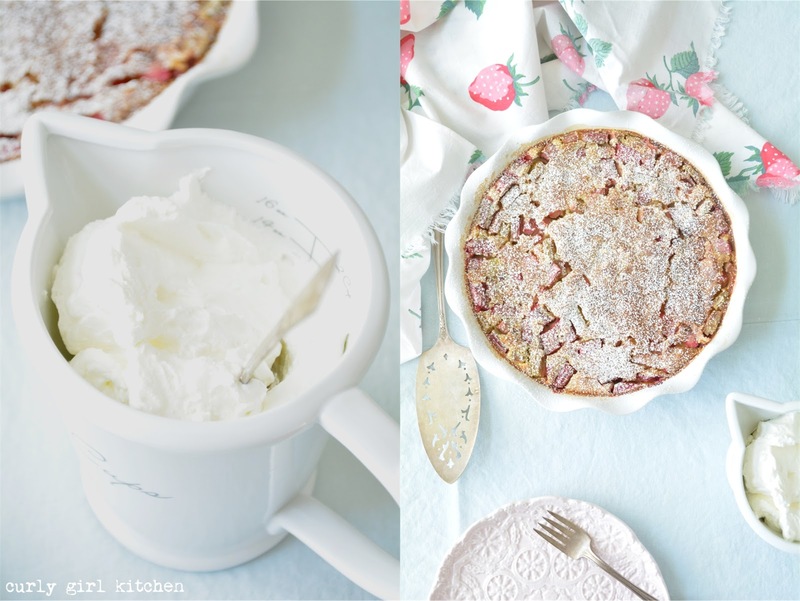 He loves rhubarb, and this coming weekend, I have promised him a rhubarb crumble. Preheat the oven to 350. Rub the butter inside a deep-dish pie pan or baking dish. Scatter the chopped rhubarb in the pan. 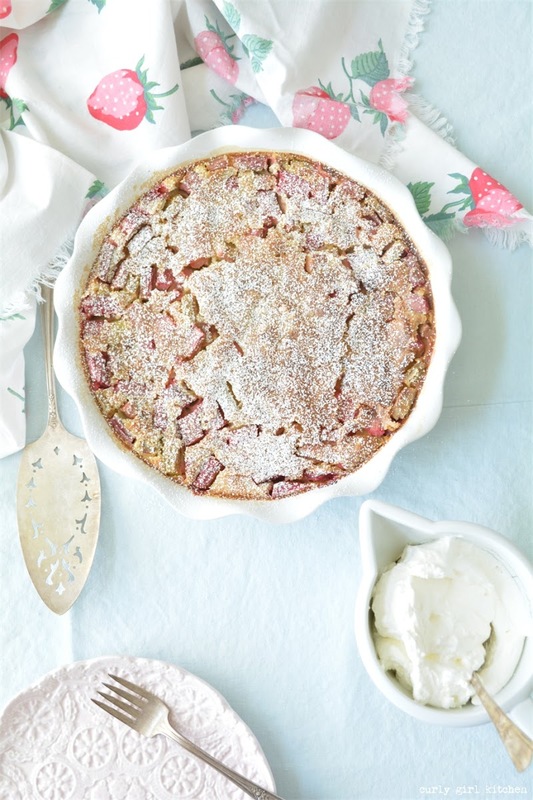 In a blender, combine the eggs, milk, flour, almond meal, vanilla, cinnamon, liqueur and all but 2 tablespoons of the granulated sugar; blend for 30 seconds, then pour the batter over the rhubarb. Sprinkle the reserved 2 tablespoons granulated sugar over the batter; the sugar on top will caramelize into a beautiful golden crackly crust. Bake for about 45-55 minutes, until the clafoutis is puffed, a knife comes out mostly clean, and the crust on top is golden brown. Cool slightly, then serve warm or at room temperature, garnished with powdered sugar and whipped cream.